GORDON SHEDDEN/HONDA YUASA RACING TEAM/HONDA CIVIC TYPE R RACE 3. GORDON WINS THE 2015 CHAMPIONSHIP WITH A 4TH PLACE FINISH AFTER STARTING 19TH. 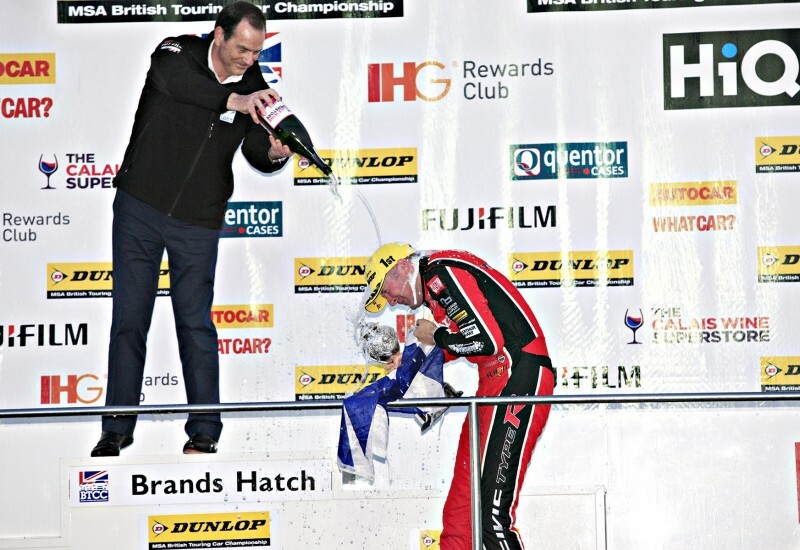 HE IS PRESENTED WITH THE WINNERS TROPHY BY SERIES BOSS ALAN GOW AND COVERED IN CHAMPGNE.